Accuracy management concerns various aspects of all assembly industries, e.g., final product quality, manufacturing efficiency, and manufacturing costs. In the near future, accuracy management will be even more important in manufacturing systems because of mechanization and automation. This paper considers the concept of computer-aided accuracy management systems, which are based on the concept of integrated manufacturing systems. We propose two management systems, accuracy planning and accuracy estimation, and concentrate on accuracy planning. A model of welding deformations and an easy estimation method for such deformations by computer analysis using the finite element method (FEM) are described. A prototype system based on the accuracy management concept was implemented in the authors' integrated manufacturing systems, and some examples of estimating welding deformations are given here. Translation of an article that appeared in the Journal of The Society of Naval Architects of Japan, vol. 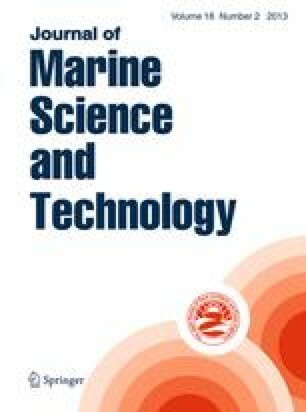 181 (1997): The original article won the SNAJ prize, which is awarded annually to the best papers selected from the SNAJ Journal, JMST, or other quality journals in the field of naval architecture and ocean engineering.